Do you need to install VLC Media Player? This guide will show you everything you need to know about installing VLC Media Player. Be it Linux, Windows, MAC, IOS or Android. VLC Media Player manages to be one of the best video players due to its open-source software and its flexibility when developing for different operating systems which makes it one of the best video players available for Ubuntu. VLC Media Player is simple to use and can play almost any kind of video and audio file format. Making it the ideal choice for anyone who wants to watch a movie or listen to music on Ubuntu. The best part is that it’s completely free without any ads or malware. If you’re prompted to enter your password go ahead and enter it. Next you’ll be asked if you’re sure you want to install VLC. type ‘y’ to continue with the installation. Once VLC Media Player has successfully finished downloading and installing you will be able to find a shortcut in the unity dash. 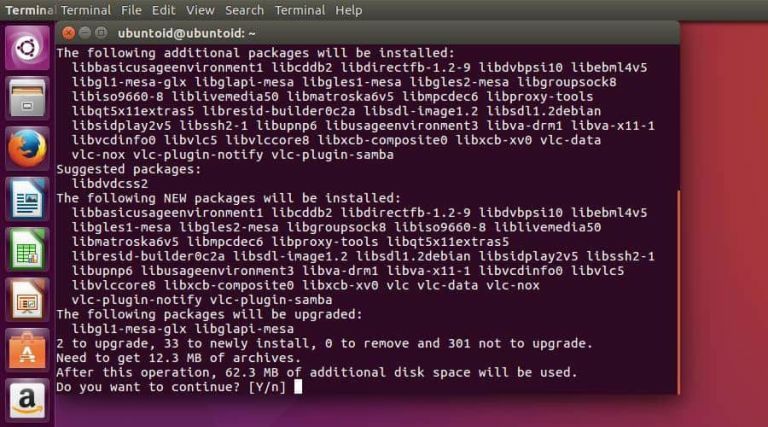 Please note: These installation instructions will work for Ubuntu 16.04, Ubuntu 16.10 and their derivatives such as Linux Mint 18.